Easy Lease is a commercial and residential real estate consultancy that cater in Mumbai-Thane Region. Commercial Office Space, Showrooms,Warehouse to Flats and Apartments we cater to all kinds of property requirements. If you are looking for commercial or residential property in Thane, give us an opportunity to serve you. 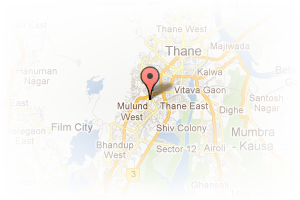 Address: Dosti Imperia, Ghodbunder Road, Thane, Maharashtra, India. This Broker Profile page for "Easy Lease" has been created by PropertyWala.com. 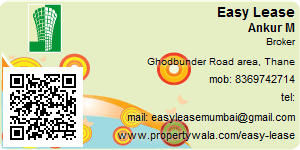 "Easy Lease" is not endorsed by or affiliated with PropertyWala.com. For questions regarding Broker Profiles on PropertyWala.com please contact us.